We go back to 1950’s when the internet on a personal computer was tested for the very first time. It was tested by a professor called Leonard from University of California through the network of APARNET, it was followed by testing from U.S Defence and later in France and U.K. 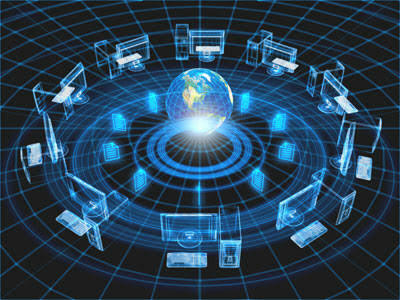 Most importantly, Internet has bee the most significant development in the world of technology. It can be rightly said as an evolution that has given rise to further innovations in the field of technology. There have been many innovations but none better than formation of search engines which also paved a way to expand business across the globe with a minimal cost and thus, help businesses to move towards economies of scale. Talking ahead, the innovations led to cut in number of traditional jobs because of automatic machines, humans being lazy, deterioation in environment level and much more. The list might go on and one would see pros and cons in balance. In this article, we will be generally talking about technology and its evolution. It’s been kind of a fanatic fantasy that has come true, doing business abroad was never easy and also it was expensive but because of technology one can connect to its prospoective supplier or customer from anywhere in the world and serve them. If it was going to stop there,the expensive phone calls to abraod was soon eliminated by social media, which meant one can connect to a person from anypart of the world through one platform on any kind of device with an internet connection. In the currenct scenario, technology has helped third party softwares such as Spy Softwares, Management Tools, Tracking Tools, and much more to ease the solution of existing problems. The biggest innovation in the field of technology in the current scenario is digitazation of banking transacrions, digital wallets to swap money and the digital currency market such as cryptocurrency market. The innovations in current scenario have created varieity in available prodyct/service along with decrease in cost to avail it with the help of involvement of competitors. In this article, we have talked about the ups of innovation that has fared because of technology and how has it made life easy for human beings. One thing that is yet to be talked about is the cons of bringing technology to life, so remain tuned for the next piece.